If you are passionate about getting your kids or students the intrinsic motivation they need to perform basic chores, this is your resource. 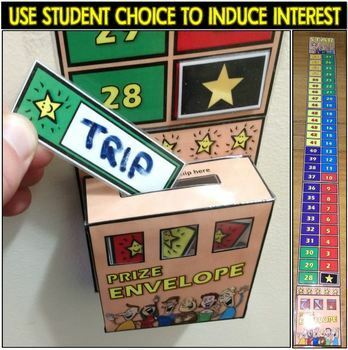 This fun and enticing package will help shape good behavior and showcase responsibility through student choice rewards. There are five different tiers of star chores. Players have the opportunity to choose their own rewards, reviewed by their parents/teachers. 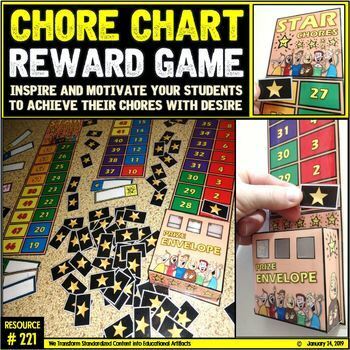 Each chore completed results in receiving a single star in which is applied to the chart. 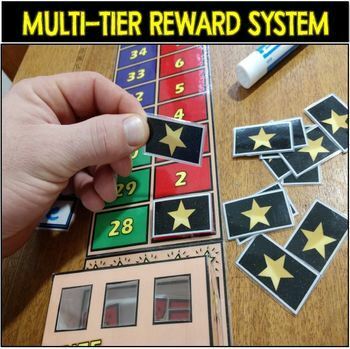 You win the reward after you reach the highest number in each tier for each color. The rewards are customized to your situation. This system is easy to use and prep. Write down your prize on the strips included. Each have different colors and are grouped to increase the award as the number of stars’ increase. 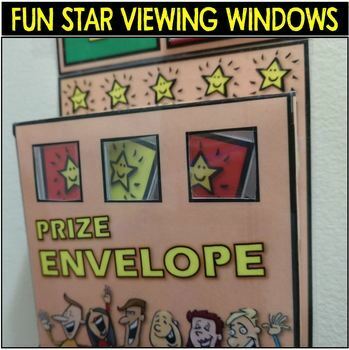 Once enough stars are awarded to complete that particular color, they will randomly select a “prize” in the “prize Envelope!” This can be customized in any way you see fit!!! In this package you will receive two full scale copies of the incentive system both in color and in black-and-white. Stars are added as students perform the tasks you are seeking. To allow this resource to last a lifetime, I highly recommend laminating each piece, as well as the chart. This will always be a tool in resource box that is both efficient and fun to use. This cute visual really appeals to the students and it makes it more “real” to them. That’s why “quality” of chore charts are very important. Enjoy teaching your students the behavior they need to succeed. This fun project and award system does not only reward participants for their initiative and hard work, it gives you the sense of security and offers a bonding opportunity that you both deserve!